Happy Bridal Banter Day, friends!! Today, we’re going to dive into the in’s and out’s of Wedding Arches and how to decide exactly what you want your arch to look like. So we’re going to chat about what all is trending, how to make your own/ use your venues’ arch, and even show what it looks like to not have a wedding arch. So many options and good stuff! 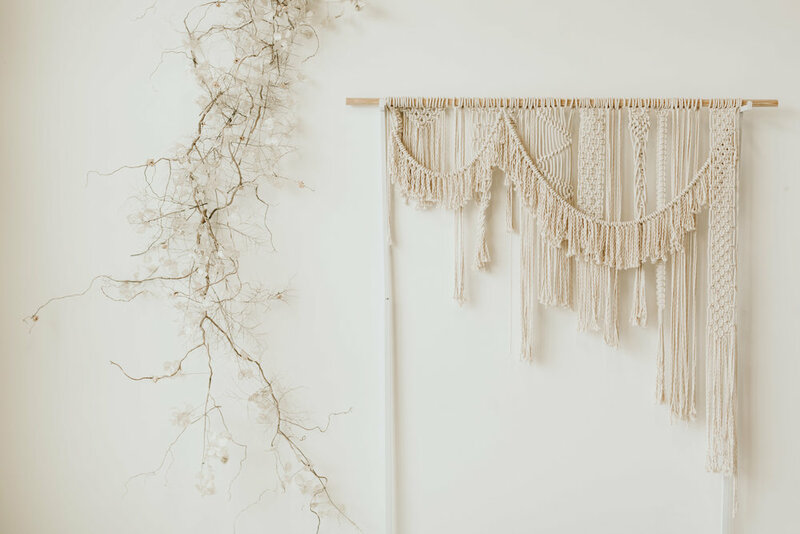 Alright, so we have all seen the dreamy wedding arches from boho-inspired wedding ceremonies and the elaborate flower walls, and you might think, ‘dang, this is going to be so pricy!’. Actually, making a wedding arch can be quite simple, just time consuming. But some fun things you can get/ buy instead of make can be found on websites like Etsy, Amazon, and now The Knot, Wedding Wire, and Wayfair can have some fun wooden arches for sale. This can be purchased right on Etsy here. This Arch can actually be purchased on this amazing creative’s Etsy shop here. This Arch was made by Knots and Wood (Local artist). Etsy shop can be found here. Depending on the theme and style of your wedding day, and the overall color scheme, you can DYI these kind of arches, or jump online and find some cool arches that are ready to ship. 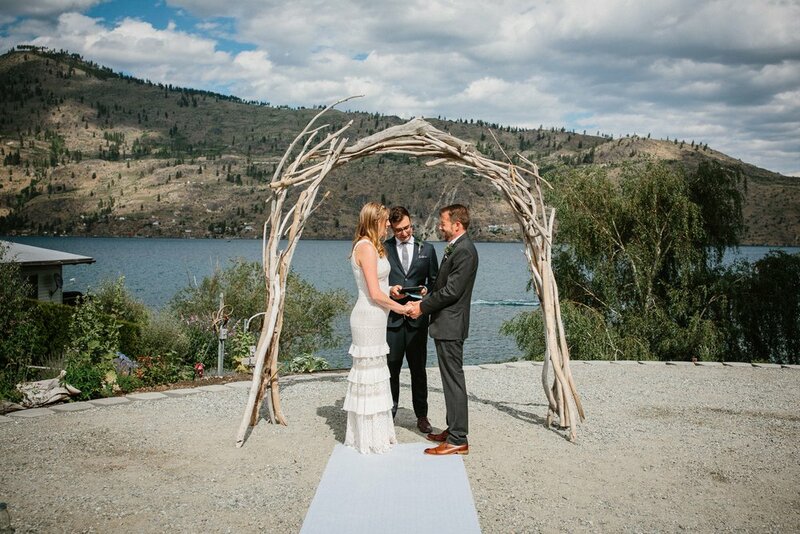 Wedding arches are so cool and make your ceremony even more unique. Etsy is a great place to find more unique and custom wedding arches, or heck, even look up your local wood worker small business to help make your wedding arch dreams come true. We actually did our wedding arch design with the help of a family member who is super awesome with working with artificial flowers. Seriously guys, the most popular trend for low-key and intimate weddings for florals is to have artificial flowers. It’s easy to go to Hobby Lobby or Michaels and find some fake flowers on sale, even garland, and make your bouquet and wedding florals the way you want and ready to go, so you’re not worried about when the flowers will be delivered or when you can pick them up. We used a wooden arch that the venue provided. Most venues these days have decorations left over from other weddings, or they have invested in having more decorations depending on the style of your wedding day already on hand, so they are even more awesome to book with and its more inclusive. Also, it’s less stuff you have to purchase!! You can totally make arches on your own! I’ve had a couple brides who make their own wedding arches and they make them with their fiancé so it’s even more special. 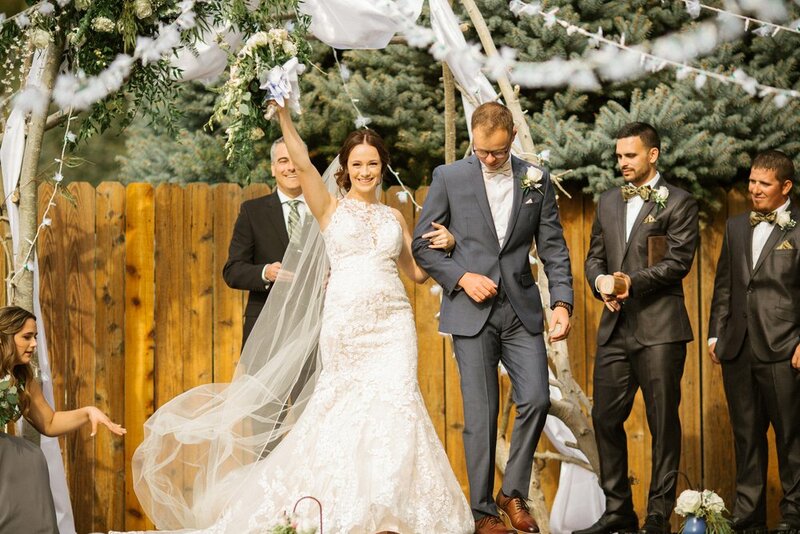 Tiffany & Andrew’s Wedding, 2018: They made their own arch out of Driftwood!! You also don’t even need an arch. If you are getting marred on the beach, or in a vineyard, rose garden, anything that has it’s own natural beauty, then by all means, go ahead and use that!! You DO NOT have to have a wedding arch. This is just to give you options and see what you might want for your ceremony. So simple and so gorgeous. After seeing all these options, what do you guys think? Want to purchase and support a small business making awesome wedding arches? Make one your self and make it more special for the two of you? Or maybe just use the PNW beauty? SO MANY OPTIONS and it really depends on your budget, what you want your photos of your ceremony to look like, the look and theme/ feel of your ceremony, and also what your venue allows. Maybe there isn’t a space for a big triangle arch, or maybe they already have one you can use. Some advice: ask your wedding venue what they have available and if you’re into them at all. If not, then jump on the webs or ask your partner what they think/ and or are they willing to make one. Anything you want!! Hopefully this Banter post was helpful with your wedding arch decision making/ dreaming! Happy Bridal Banter Day, friends!! Peace!